The Bio D Concentrated Fabric Conditioner - Fresh Juniper - 1L product ethics are indicated below. To learn more about these product ethics and to see related products, follow the links below. Subtle scent. Leaves clothes soft and non cling. Pleased to have an option of a different and natural based smell for washing clothes. This does not disappoint but it is a very delicate smell so not for those who like strong smelling clean washing or the freshness to last for a long time. Seems to leave the clothes soft but still to try on towels. 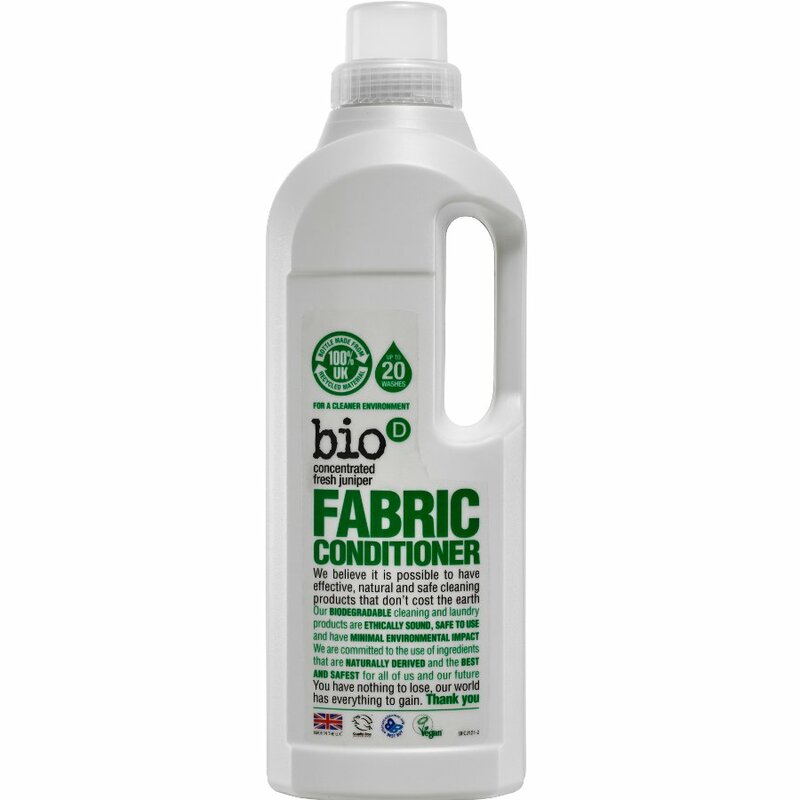 There are currently no questions to display about Bio D Concentrated Fabric Conditioner - Fresh Juniper - 1L.